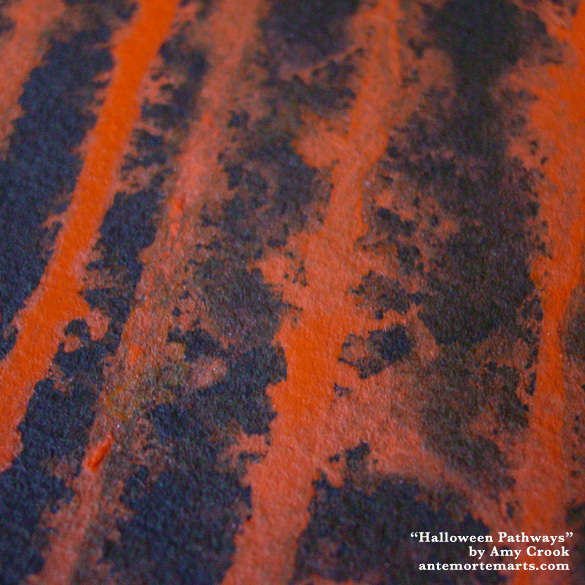 Deep charcoal supports and subdues the bright Halloween orange in this latest Pathways painting. The image suggests bold autumn trees, lit by the last orange rays of sunlight slanting towards them. Or is it a bright potion bubbling over the sides of an iron cauldron? Perhaps you see the stripes on some deadly orange monster instead. 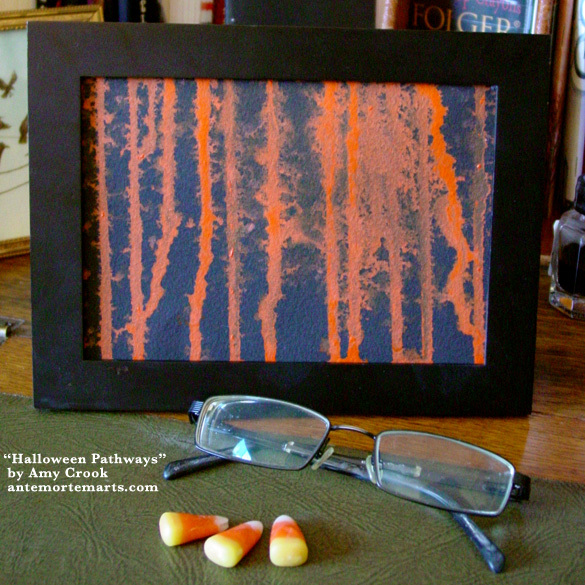 The simple-seeming monochrome hides a depth of color and detail that will give you hours of peaceful contemplation while you sit and sip cider and think of Halloweens to come. 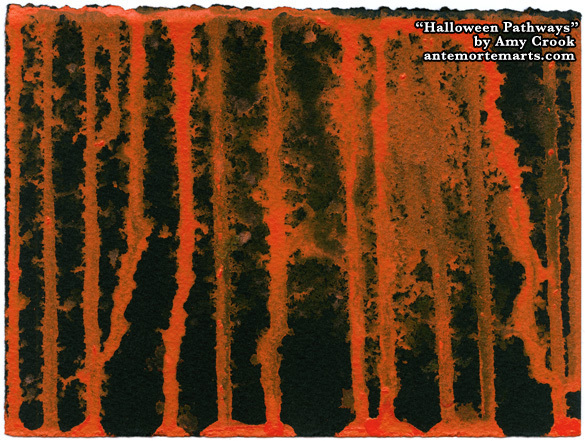 Above, you can see the the way the charcoal blackness of the paper draws the orange into itself, lending a base of deep gloom to the holiday brightness of it. 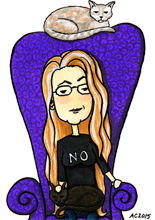 Below, the painting is tucked into a frame, just waiting to haunt your home.